Developers prefer to build homes on lots that are at least sixteen feet wide, but we live in an imperfect world. A narrower home often means a reduced sale price, but assuming the purchase price is correspondingly lessened, developers will still look to buy and build on skinnier lots. When East Kensington was laid out way back when, the development standards were clearly quite different, as this neighborhood has a ton of lots that only span twelve feet. In our experience, twelve feet of width is the bare minimum width for a new construction row home, as anything skinnier feels more like a tall closet than a place to live. We’ve seen some exceptions, though. 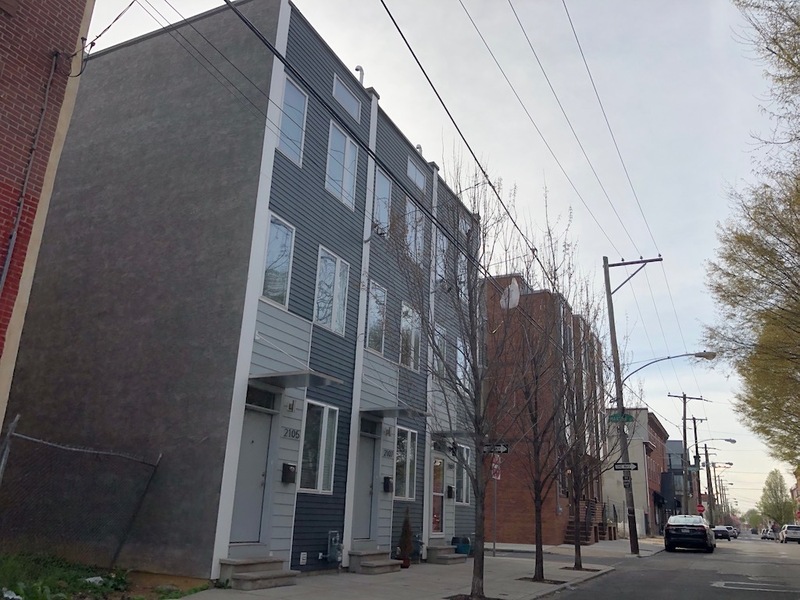 As East Kensington has become more and more attractive to buyers, developer interest has continued to grow and even skinny lots are highly desirable. With the neighborhood hot as ever, prices of skinny homes have increased dramatically, in step with increases around the neighborhood. To wit, let’s look an example on the 2100 block of E. Hagert. 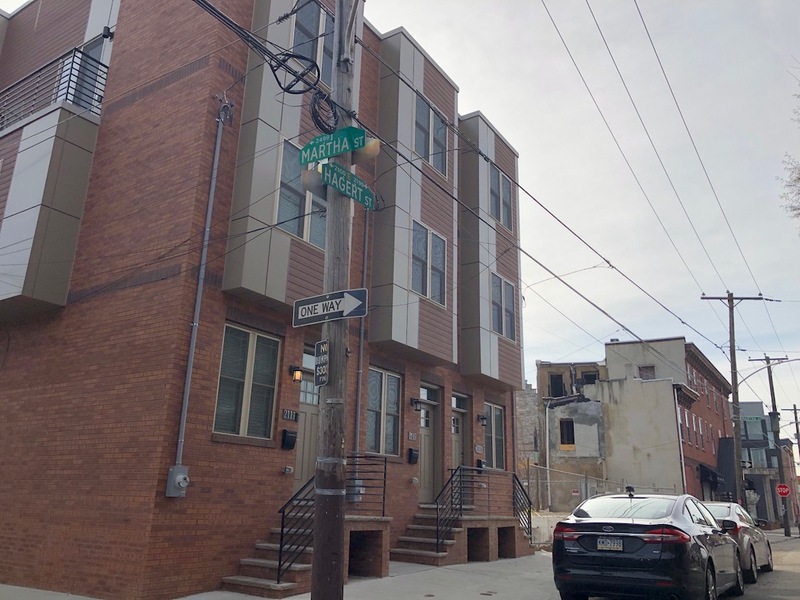 Six years ago, developers built a trio of 12′ homes on this block which sold at prices from $240K to $255K. Four years later, we saw three more homes appear on the block, and the prices have increased significantly, ranging from $380K to $420K. Doing some quick mental math, that’s… way more. 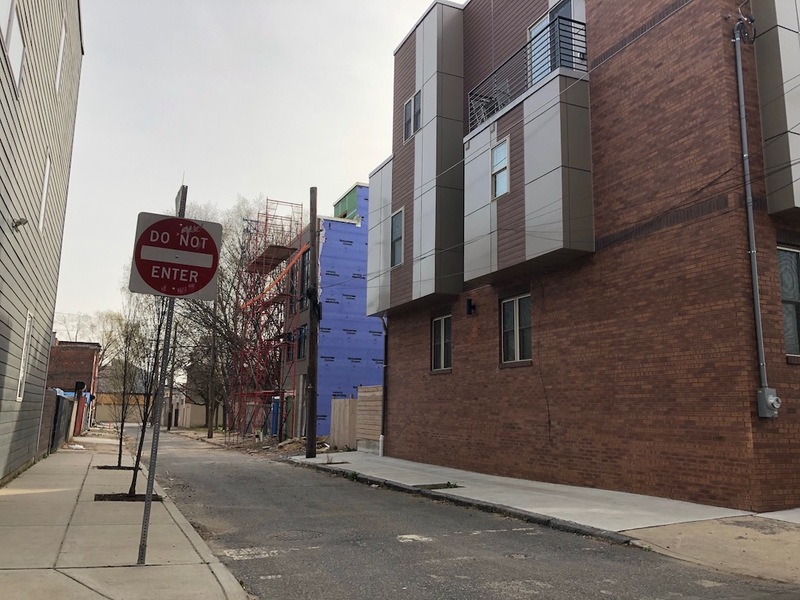 So it shouldn’t surprise you to learn that more 12′-wide homes are on the horizon for this block. 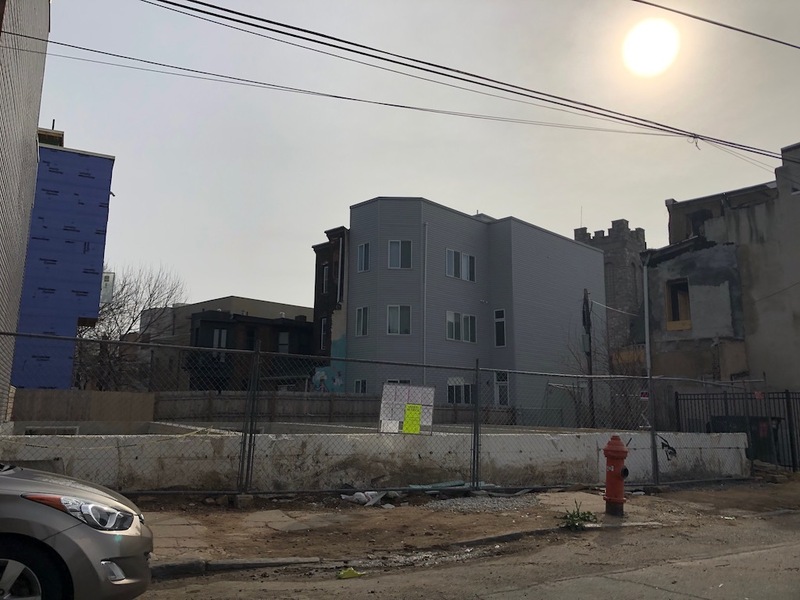 We were here the other day and saw that the formerly vacant 2117-2123 E. Hagert St. now has four new skinny foundations. Those skinny foundations will be skinny homes in the coming months, and we’ll be curious to see whether they sell at even higher prices than their neighbors. In the image of the foundations, you may have noticed another home already under construction. While we’re here, we might as well mention that project as well. 2447 Martha St. is a new one-off home that’s much further along than the foundations on Hagert Street. This home will include a garage and also sits on an 18′-wide property, so it’ll probably be one of the widest homes in the neighborhood. It’ll also be a bit lonely, since half a dozen lots next door are sitting vacant. They’re all privately owned though, so we have to think it’s only a matter of time before they’re turned into homes as well. They’re all a little wider than the homes on Hagert though, so they could sell for even higher prices when they’re developed some day. While you’re there, cover the old brewery building that has a “SOLD” sign on it and a demolition notice. I’m in one of those homes built in 2013. This location can’t be beat! We live right next to PBC, Martha, Pizza Brain—- the list goes on…. I can’t wait to see the rest of those lots get developed on Martha!